Jesus of Nazareth is born at Bethlehem in the hill country of Judaea. He is brought up in the hills of Galilee at Nazareth and – as a child – goes up to Jerusalem in the Central Highlands each year for the Passover festival (see Luke 2:4, 39 & 41-43). John the Baptist challenges people to change their lifestyle at Bethany in the Jordan Valley. 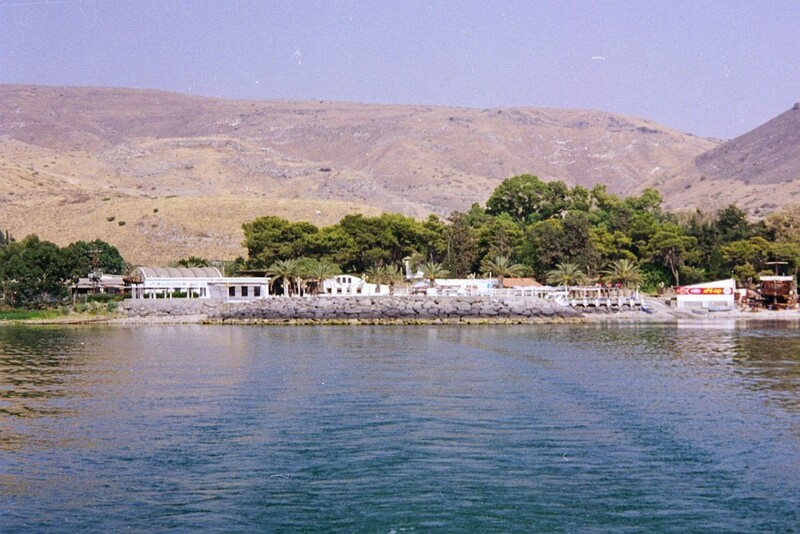 Jesus is baptised in the River Jordan and moves to Capernaum – a fishing port on the Sea of Galilee – where he recruits his first disciples and establishes the main base for his ministry (see John 1:26-36, Matthew 3:13-17 & Mark 1:14-21). After the birth of Jesus, Mary and Joseph flee across the Mediterranean coastal plain to Egypt to escape the murderous wrath of Herod the Great. During his ministry, Jesus visits the Mediterranean coastal towns of Tyre and Sidon. Later, Peter has a vision beside the Mediterranean Sea at Joppa, and agrees to meet a centurion at the Roman port of Caesarea (see Matthew 2:13-15, Mark 7:24-31 & Acts 10:1-48). Jesus travels with his disciples to the source of the River Jordan near Caesarea Philippi where he is transformed before their eyes on the summit of Mount Hermon (see Matthew 17:1-8). Paul climbs the Golan Heights and journeys across the Eastern Plateau towards Damascus, where he sees a blinding light and hears the risen Lord Jesus saying to him, “Why are you persecuting me?”(Acts 9:4).